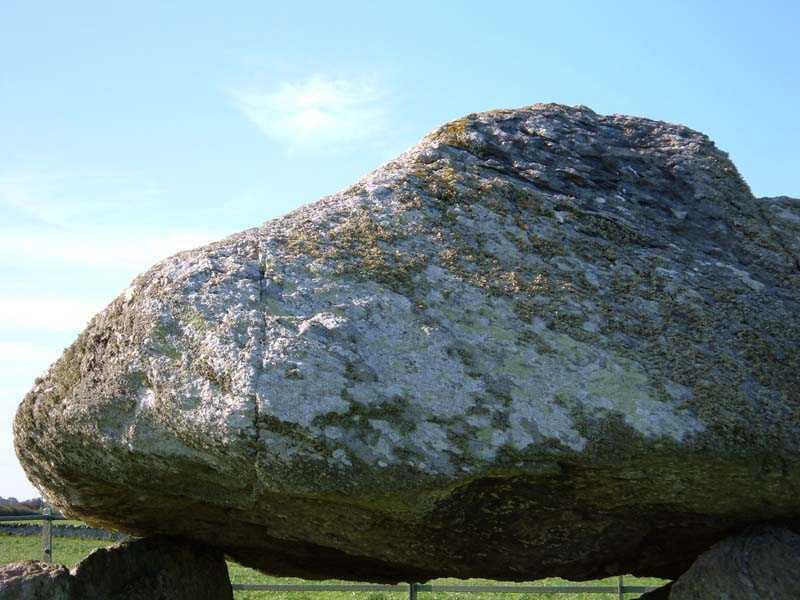 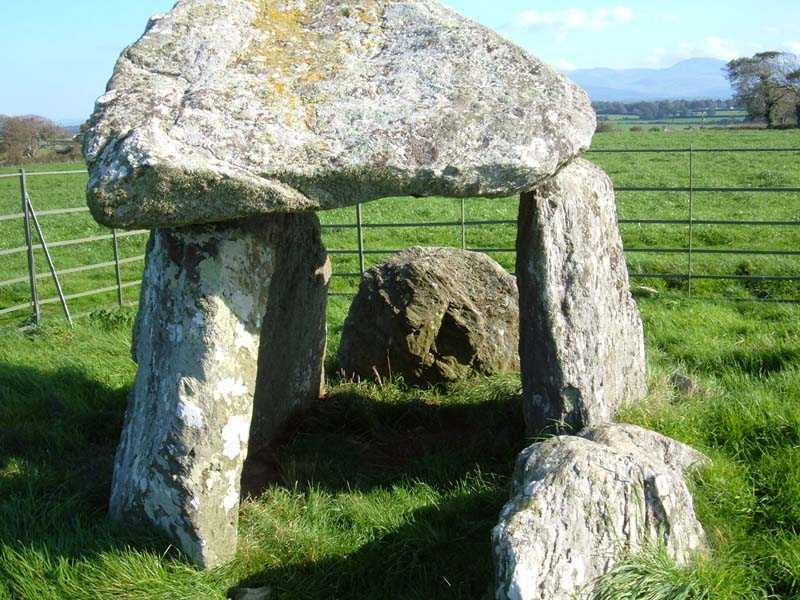 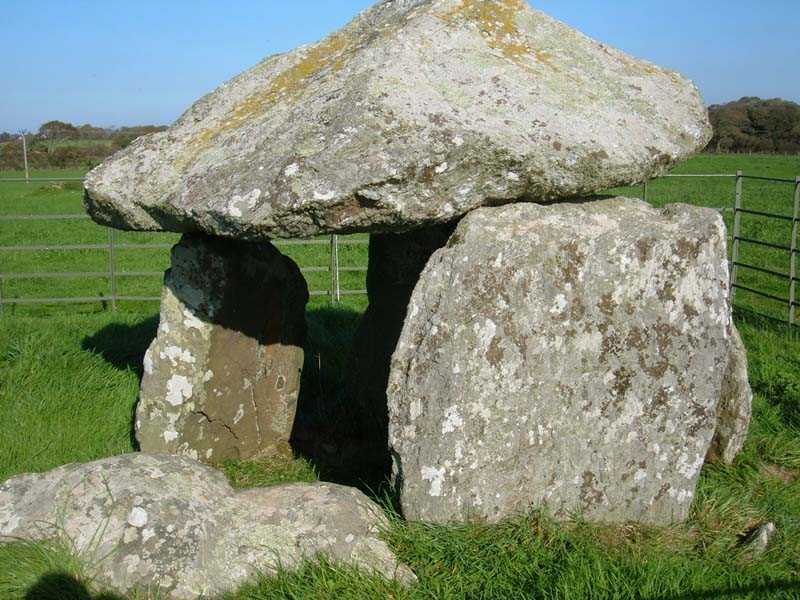 Bodowyr Burial Chamber - an ancient monument on the island of Anglesey. 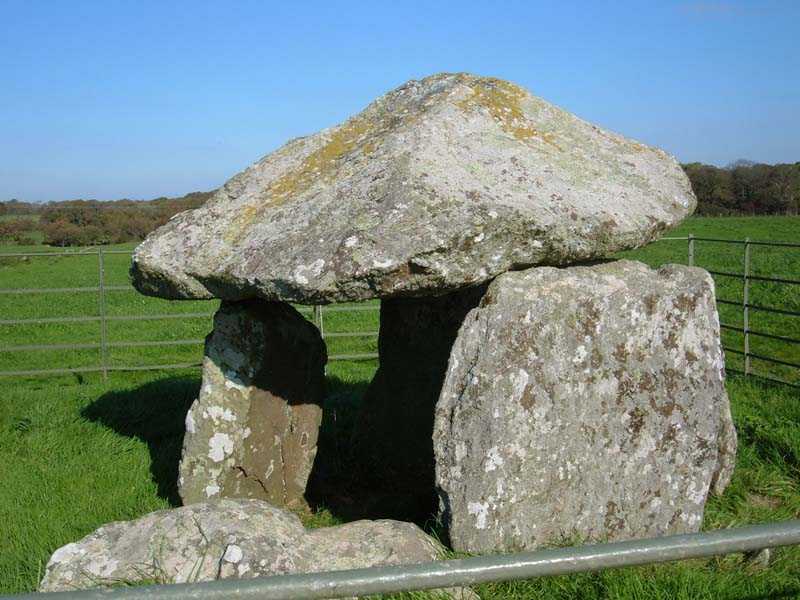 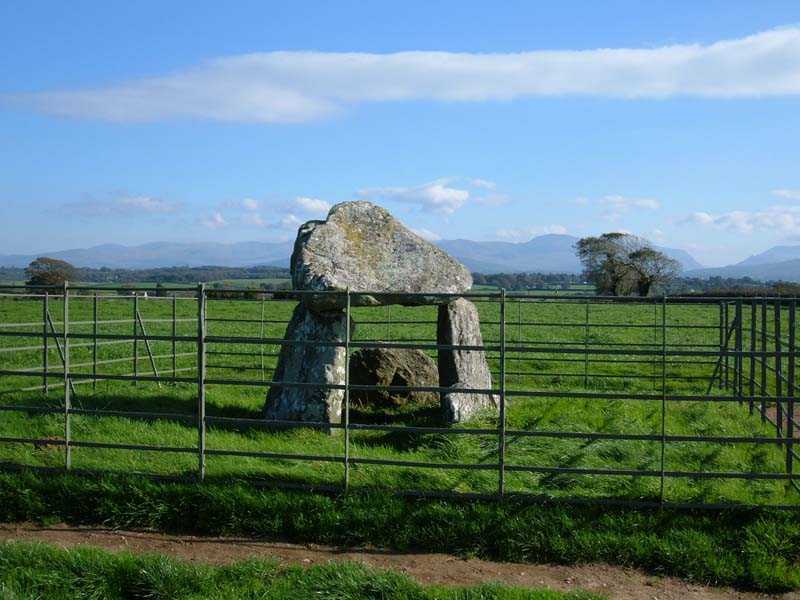 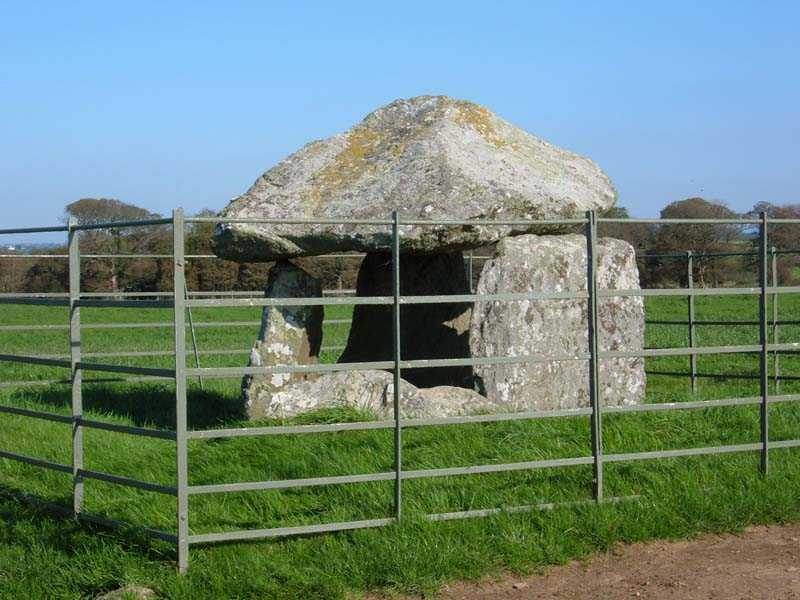 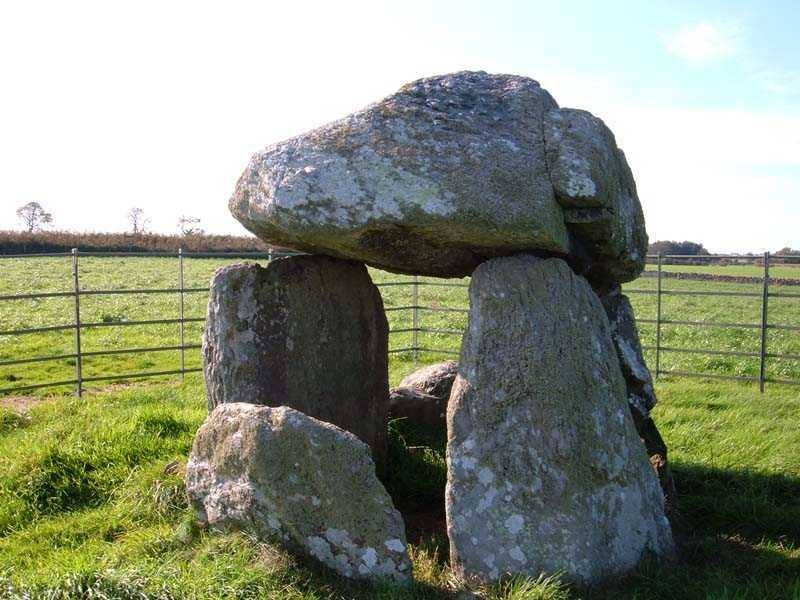 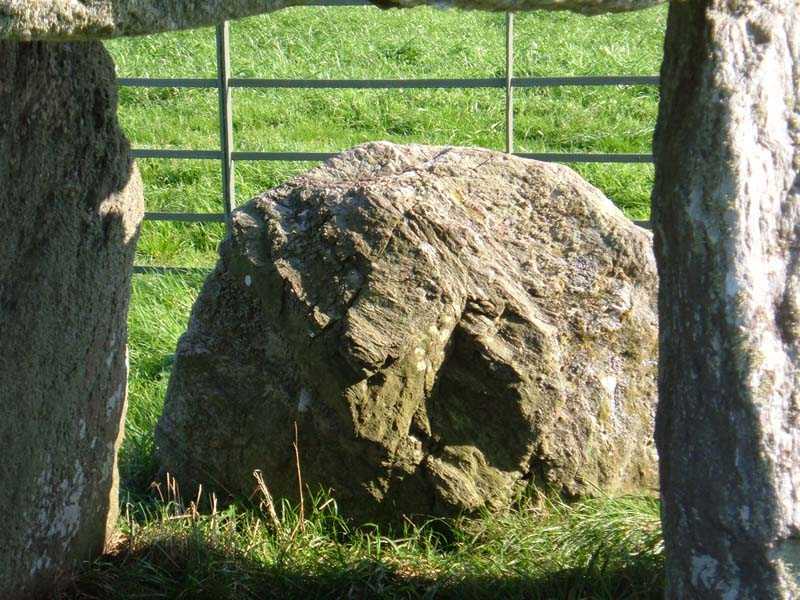 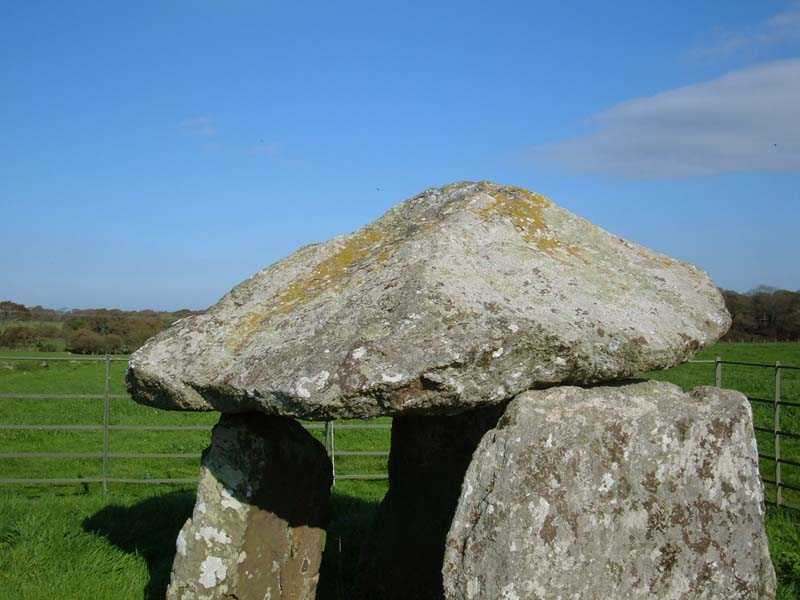 Bodowyr Burial Chamber is easily found on the B4419 secondary road near the village of Llangaffo on Anglesey. 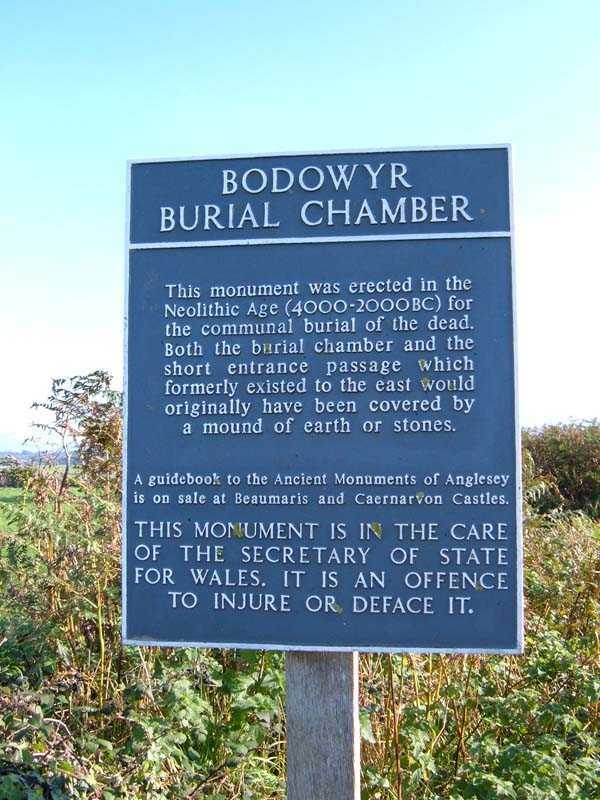 A CADW signpost makes it very easy to locate, and access is through a gate near the sign. 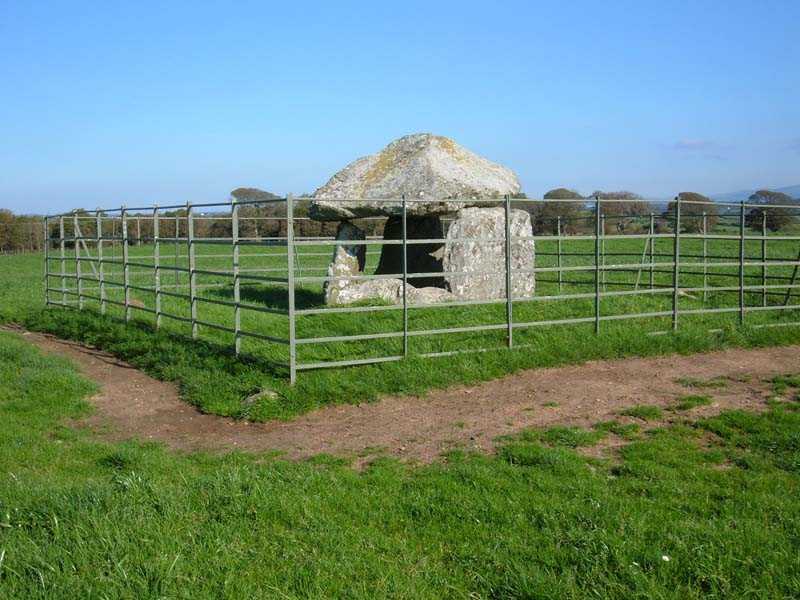 This site dates from the Neolithic age, probably in use somewhere between 4000-2000bc. 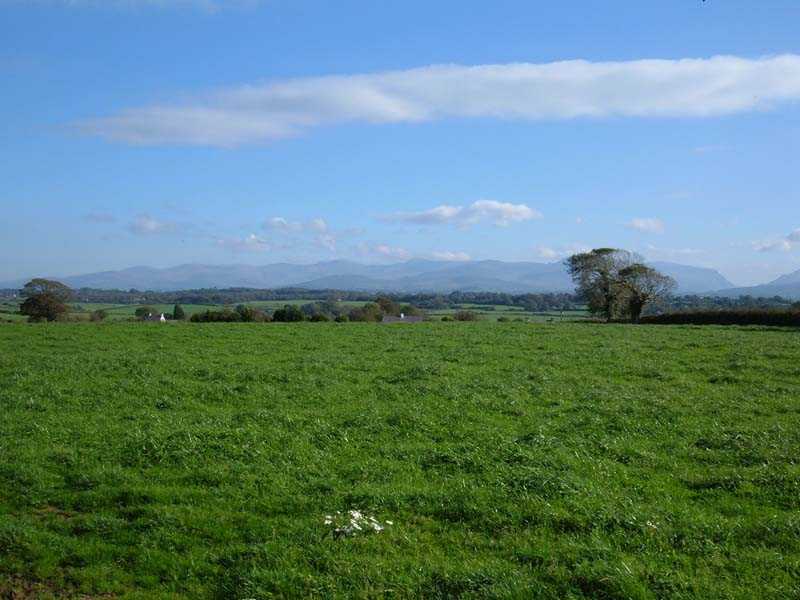 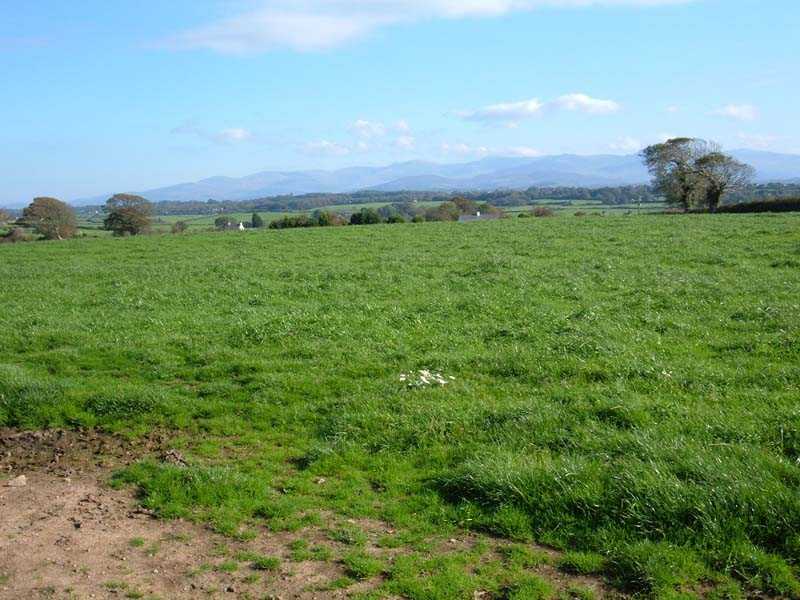 A superb location, with - on a nice day - clear and spectacular views of Snowdonia. 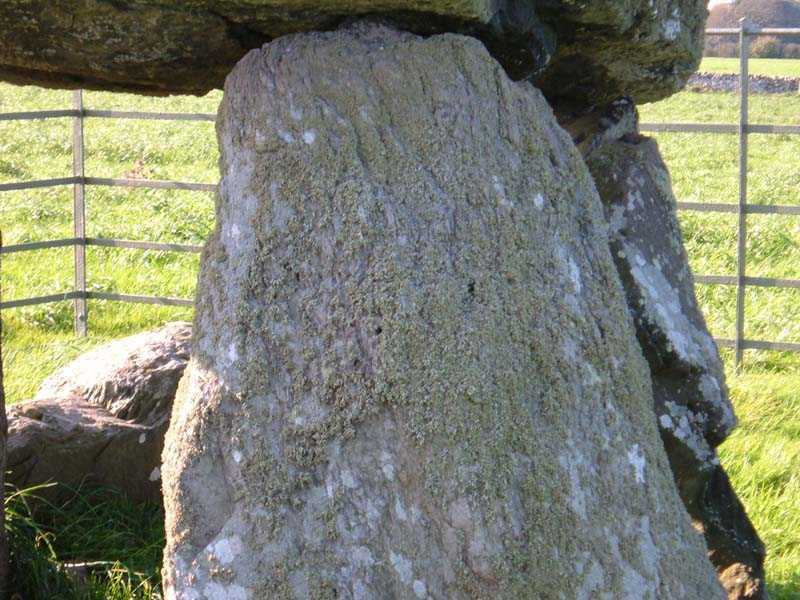 In the usual elevated position.